Weather causes businesses to lose over half a trillion dollars every year, and up until now, we seem to have been at the mercy of the weather, rather than harnessing it or working within it. Now we are finding better, more profitable ways to manage weather conditions. Innovative companies across all industries are learning how to harness climate impacts to improve decision-making and drive better business outcomes. 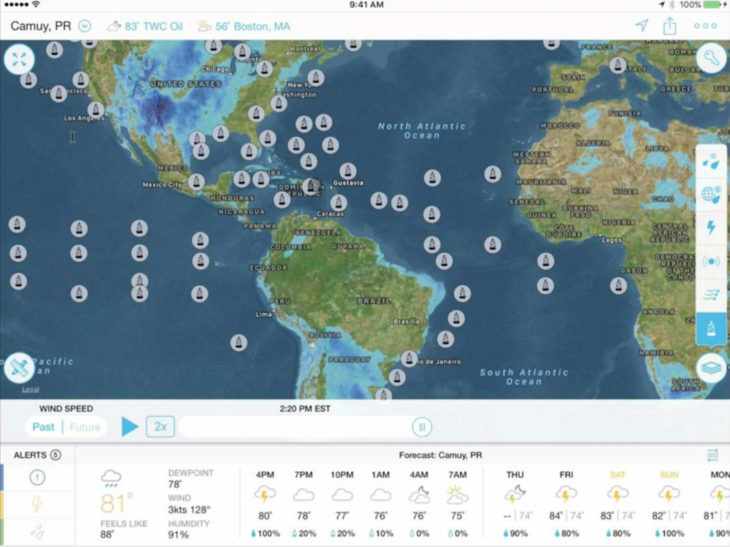 The Weather Company, an IBM Business predicts weather and optimizes performance. That’s a novel concept that is about to make smart rigs happen. Think laterally. Did you ever imagine that there would be mini-weather-forecasting stations around the globe? What about an oil rig becoming a weather station? That’s the latest innovation happening at IBM’s Weather Company, these days. This latest innovation is the opportunity to harness innovation and allow oil companies the ability to turn their offshore oil platforms into smart rigs. When an oil company harnesses this technology, they have an on-rig, weather stations that forecast weather events in real time. The result? Better performance, better prediction, better operations and higher safety. Many applications exist where weather forecasting improves business. For example, to improve customer satisfaction and reduce claims, a property insurance company sends out weather alerts based on hyperlocal forecasts so clients can take action to avoid/minimize property damage due to severe weather. The company is also reducing the number of fraudulent claims by using historical weather data for verification. A Europe sports retailer uses weather analytics to understand better sales impacts on 500 stores to boost sales, predict demand, enhance supply chain management, improve staffing, and optimize product placement. A government has upgraded its weather service to The Weather Company’s data and alerts to provide more accurate, hyperlocal forecasts to its citizens to improve safety. The Weather Company, an IBM Business, is a company working closely with some oil companies to help them turn their rigs into ‘smart’ platforms that are better able to predict weather and its impact on their billion dollar assets. Through a holistic approach, The Weather Company is helping offshore operations centers, carefully analyze the weather, provide weather alerting, operate rig-based radar, and employ cognitive computing tools to improve their efficiency and output where the weather is concerned. Mr. Jim Menard is the General Manager of Enterprise at The Weather Company. 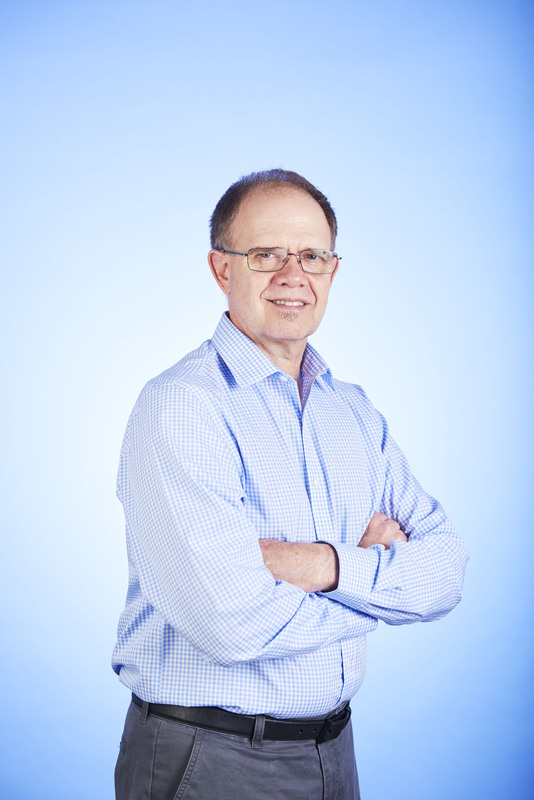 Jim joined The Weather Company in 1987 and has held management positions in both their Boston and San Francisco offices. Previously an on-camera meteorologist in the Tampa Bay area. Jim was the first to introduce computer graphic visualizations to television weather presentations. Additionally, he has implemented a variety of leading edge efforts such as aviation and energy forecasting and has been at the forefront of developing weather applications for both mobile and web, throughout his career. Oil companies are looking for new ways to optimize rig performance. If they are as successful as they hope, we will likely see a continued drop in the number of offshore rigs, with an inversely proportional rise in the operational capacity of each rig. Jim explains the fundamentals, “Our goal is to break technology and bring it to do something good. That means harnessing technology and utilizing advanced Weather radars to see storms in detail. Regardless of location, remote access is no longer a limitation when the weather station is on the rig that you are working on”. The mini weather radar is designed to be mounted on a platform and is a system that is about the size of a human. The dish is relatively small and transportable. Doppler radars are used to see the changes, advances, and intensity of weather. 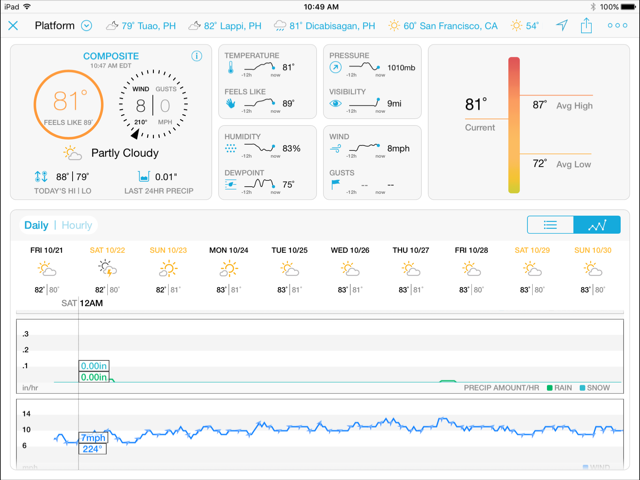 Computer algorithms immediately notify users of severe weather, which allows for response and real-time solutions. This system ensures that emergency preparedness, safety, and efficiencies are obtained, at optimal levels on a rig. Companies are using weather insight to accurately predict outages, storms and other work inhibitors such as wave action. This system allows rig personnel to proactively allocate and deploy resources which ultimately saves lives and reduces cost. 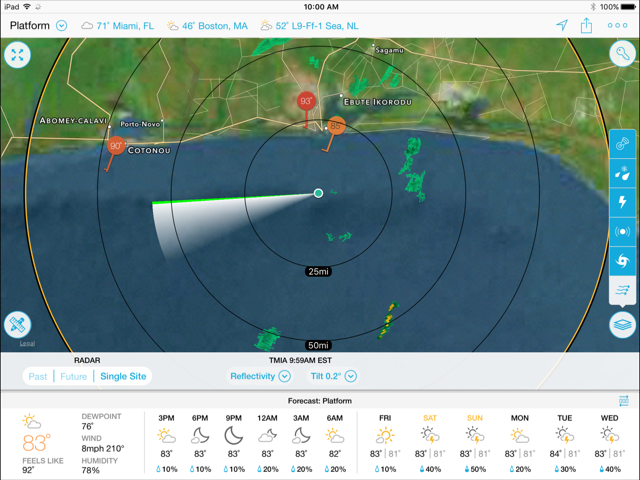 On-demand forecasting is becoming the mainstream of operations for safety at sea. Rigs availing of the technology will have an incredible advantage that serves to keep people informed, safer and ultimately more protected. As well, with billions of dollars of assets onboard having a Weather predicting solution could prove to be a wise decision for rig owners.